A local guide to Mint Hill NC real estate, news, events, neighborhoods, schools and more. Search Mint Hill NC homes and land for sale. Mint Hill lies in a rural corner of Mecklenburg County covering approximately 20 square miles along the eastern edge of the county. 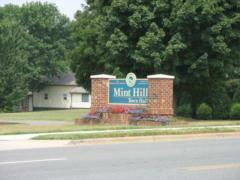 Mint Hill is a great place for those seeking small town living with a peaceful rural flavor. Many citizens are lifelong residents and the sense of community and family ties is very strong. Until recently, growth in Mint Hill was relatively slow compared to the rest of the Charlotte area. Completion of I-485 around the town in 2003 with five interchanges within town limits increased accessibility to other parts of Charlotte. Mint Hill now has excellent access to Charlotte's employment centers and Charlotte's Douglas International Airport. Mint Hill is a 30 minute commute from uptown Charlotte and from the University of North Carolina at Charlotte. Mint Hill's town center is at the intersection of Lawyers Road and Matthews-Mint Hill Road. Once this area had just a few buildings and businesses, including the Town Hall and a few shopping areas nearby. Now development of this area is underway with housing, community shopping centers and office parks creating an expanded center for the town. Construction of a regional mall at Lawyers Road and I-485 is expected to begin in 2012. The Bridges of Mint Hill, constructed with an open air streetscape, will include a shopping district and an entertainment district connected by a series of bridges over picturesque Goose Creek. While Mint Hill offers a respite from the hustle and bustle of city life, it has great access to the amenities of Charlotte and is developing its own community amenities within town limits. The beautiful rolling countryside of Mint is truly where town meets country. While Mint Hill wasn't incorporated as a town until 1971, it was settled by the Scotts-Irish in the mid-1770s. Philadelphia Presbyterian Church, originally located in a log structure, was founded in the 1770s. This church was the heart of Mint Hill life and two cemeteries in Mint Hill associated with the church contain the graves of early settlers, including some revolutionary war soldiers. During the 1800s and early 1900s, just a few stores and institutions served the rural area of Mint Hill. McEwen's Hardware served as a general store and hardware. Ferguson's Country Store opened in 1921. Bain School, now a public elementary school, was a private academy. 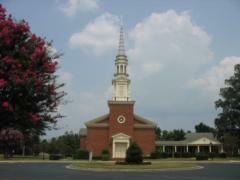 Mint Hill has a variety of neighborhoods and housing types to serve all lifestyle needs and wishes. For many years there was no municipal water and sewer in most of Mint Hill. Most of the neighborhoods built in those years had large lots. The eastern section of the town lies within the Goose Creek basin, where an endangered mussel called the heelsplitter lives. Protection of this endangered species has meant that new subdivisions in this area also must be built on large lots maintaining the rural feel of the town. An equestrian neighborhood with estate-sized lots and a community barn is currently under construction in the town. New housing built near the town center emphasizes smaller lots, walkability, neighborhood parks and walking distance to shopping. Mint Hill houses range in price from the low $100,000s to over a $1,000,000. Mint Hill Madness is the largest community festival in Mint Hill. 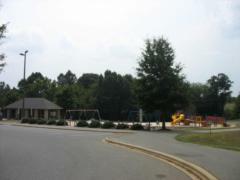 It takes place at The Mint Hill Park on Fairview during the last weekend in September. The festival begins with a Saturday morning parade through downtown. Mint Hill Madness includes arts and crafts, a beauty pageant, games and rides, and fireworks. 60,000 to 70,000 people attend this festival every year. The arts are the focus of several activities during the year. In August, Sunday Afternoon in the Park features arts and crafts in Wilgrove Park. A new organization called Mint Hill Arts has opened a gallery in downtown Mint Hill. Mint Hill Arts offers a monthly gallery crawl and workshops for the public education and cultural enrichment. 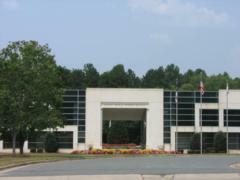 Other community programs can be found at the Mint Hill Library, a branch of the Charlotte-Mecklenburg Public Library. The Mint Hill Historical Society is dedicated to the preservation of the area's history. It has created the Historic Village to provide a place where significant historical buildings can be moved, preserved and restored. 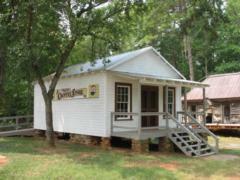 The Village includes The Doctor's Museum, the Ira V. Ferguson County Store, and the Ashcraft School. A Farmer's Market is open Saturdays at the Village during the growing season. Mint Hill's Scotts-Irish heritage is celebrated by the Mint Hill Scottish Society. This group sponsors a weekend of Scottish Highland Games in March. 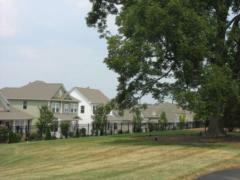 Mint Hill residents have always had easy access to Charlotte's resources and amenities. With renewed growth, citizens will soon have major facilities within the town itself. A new Presbyterian hospital will soon be built near one of the I-485 interchanges and Carolina Healthcare Systems is building a medical facility within the town. Recreational facilities include the town parks as well as several golf courses. New business parks in the town will provide places for more job opportunities for Mint Hill residents. Copyright 2007-2014. Carol Fox. All rights reserved. Search for homes in Mint Hill NC by clicking on the links below. Ask me a question about Mint Hill NC. 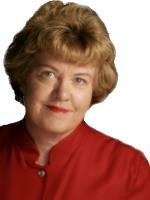 I'll be happy to answer your questions about neighborhoods, homes for sale and living in Mint Hill NC. Drop me a note via the email form below or give me a call at 704-905-3935.